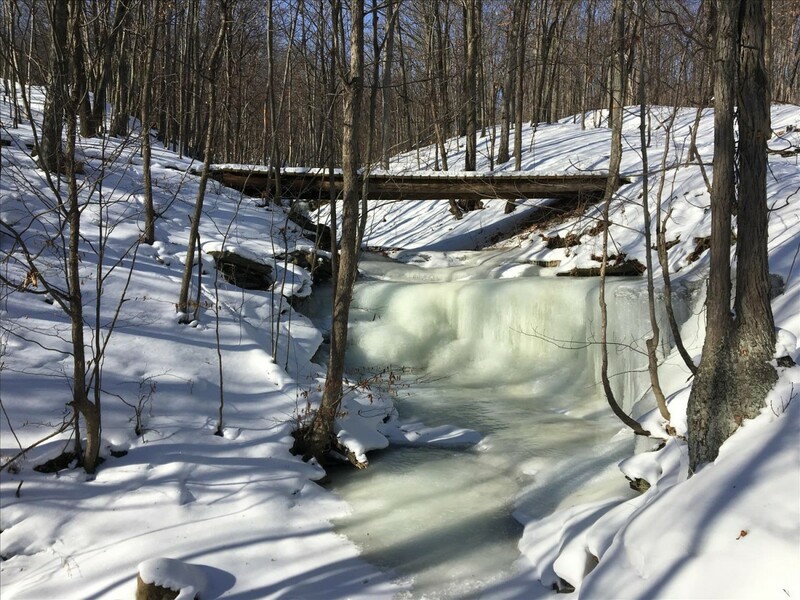 The Frozen Branch is an out & back 50k trail run. The route will follow a familiar set of well-marked trails that start in South Bristol and reach the trails high above Naples, NY. This race is held in February, in upstate NY which means there is no telling what the weather will bring. Trail shoes, snowshoes, and additional traction & use of trekking poles are allowed. There will be no supplemental course markings. The course will be outlined and discussed prior to the start. You must be willing and able to navigate this course. There will be a ton of climbing. This is not a flat, easy trail. Winter weather conditions will only make things worse.